We strongly believe in complete customer satisfaction. 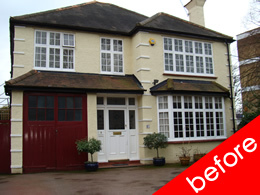 We treat each House extension in Wandsworth as we would our own home. 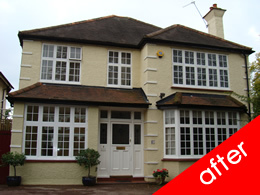 Lifestyle is a premier Wandsworth home extension company. We offer a complete house extension in wandsworth service from planning, design and build through to the final finishing touches. A house extension give you the extra space you require in your house be it an office, bedroom or playroom, while adding value to your home. Lifestyle take care of all planning permission and building regulations requirements from conceptual design through to the final decorations. All work is carried out in accordance to national regulatory standards. Property location- Is my property located in a Wandsworth conservation area? So you need to check for any special regulations or Article 4 Directions. Wandsworth has 45 conservation areas which vary in size and character from a short street such as Deodar Road to a large area such as West Putney. Lifestyle can assist and advice you in relation to these issues. Do I need an architect?- A large building project such as a Wandsworth House Extension can be stressful to undertake and coordinate. You can achieve the best results by using an architect or structural engineer to draw up the plans and use a reputable building company to process the project. Make sure your building company is registered with a professional association such as the federation of master builders which requires strict standards of quality and best practices. Lifestyle as a company can offer you all the above. Planning permission: It's always best to check with Wandsworth Council to identitfy specific planning, conservation and Article 4 Directions. Some properties won't require planning permission. If required, applications need to be submitted for approval via Wandsworth Council or online. Planning permission also takes into account the impact on the environment, neighbours and community including asthetics such as skylines, continuity of building materials and architectural integrity. Building regulation: Building regulations outline the legal requirements for the safety of newly built house extensions. Again a reputable building company will be conversant and arrange the necessary building approvals. Informing neighbours: A written consent is required before starting work if you share a wall or boundary. Choosing a Building company: A reputable building company should have premises, be a member of a professional association (e.g. FMB) and be insured. Always ask for client testimonials and examples of previous work to back up their credentials. A professional building company will be happy to provide you with these details. Expert advice: We believe in providing a complete, stress-free and reliable service, providing free advice and quotations for all Wandsworth house extensions. A Wandsworth house extension can add 20-30% value to your home, whether it’s a kitchen diner, garden room or full two-storey build. A complete service: Why hire individual contractors for separate aspects of your house extension project at additional costs when you get can get one company to do everything in a great single package. Lifestyle can be your one point of contact dealing with planning permission, regulators, building work, plasterers, plumbers, fitters, electrical work and decorating etc. Stress-free: Lifestyle takes care of everything from start to finish, updatingyou throughout the process and providing you withongoing progress schedulae. If there are any unforeseen issues with your Wandsworth home extension we will liaise with you throughout and provide the best solutions to the problem. Trust: Our business is based on referrals and our customers are very important to our company. We aim to provide the level of service that you can trust and rely on. We understand that committing to large sums of money letting strangers onto your home is no small decision. You can rely on us to pay the respect you demand in your home and to make the most efficient use of your budget without incurring unexpected costs.